Because trees mainly take care of themselves, proper tree maintenance is often overlooked. Tree service is rarely used, typically, only in the event of a downed tree or a dying/rotting tree. Winter Tree Park tree pruning does more than just make your landscaping look presentable. But even with the best home tools available, pruning can be dangerous depending on the height of some of the branches on your tree. A professional tree pruning can do more than just improve the appearance of your property. Here’s what else a professional pruning can do for you! Trimming is typically associated with smaller plants, shrubs, or overgrown bushes. Trimming is the process where overgrown plants are cut back. This ensures that the plants receive adequate sunlight, maintain their shape, and so that they look aesthetically pleasing. Pruning is done to remove infected, loose, or dead branches. 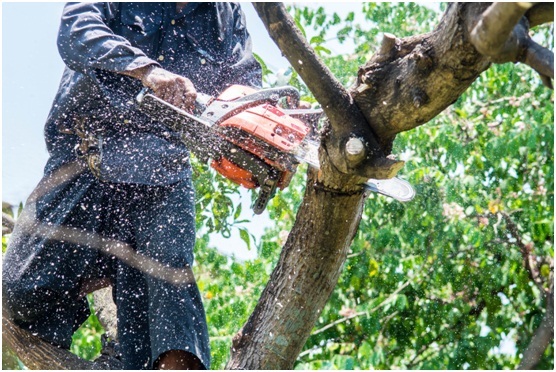 Trimming and pruning both require separate sets of equipment that any certified arborist or tree care expert would have on hand for either job. Weak or diseased branches are very vulnerable. They can fall at any time especially during storms or inclement weather. However, even with perfect weather conditions, they’re still apt to fall as they are no longer healthy and strong. Falling branches can cause damage to your roof, cars, power lines and cause blocks to sidewalks and roads. They can also pose a physical threat to small children and pets in the area. Tree service, like pruning, can help to prevent the spread of infectious tree diseases. Just like us, trees can get and carry diseases that over time cause them to lose their strength and ability to be healthy. Pruning infected branches remove the disease from spreading to the rest of the tree. Just because one area is infected doesn’t mean that the entire tree needs to go. Pruning is great because you can isolate the infected area, remove it, and save the tree. A tree service that regularly prunes and trims your tree can help to control the pest and insects that live in and around the tree. Insects thrive in trees, especially diseased ones. Diseased trees attract termites who will eventually find their way into your home. If the infected or diseased tree is close to your home, it is very likely that the insects and pests will find their way into your home sooner or later. Trees are able to handle extreme weather conditions but with regular pruning, they can fair better and are less likely to be damaged or to cause damage. With proper pruning techniques, you can improve the strength and health of your tree. It’s like the same way with getting a hair trim. You trim your hair to keep it strong and healthy. If you prune your younger plants regularly early on, it’s less likely that they will need excessive pruning when they get older because they will be used to growing in a certain way. Again, like a haircut, pruning your trees just makes them look better. A great pruning session can add beauty to your landscape. If you live near natural structures like mountains, lakes, rivers, creeks, or even the ocean, pruning your trees can provide a better view to enjoy these natural wonders. Winter Park tree pruning makes your yard look great again so that you can safely enjoy the natural beauty of your property. If you’re searching online for “tree services near me” then you’ve finally found the place. 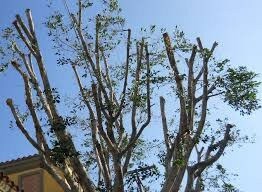 Winter Park tree service, Advanced Tree Pros, can give new life back to your trees. If you’re worried about having to cut your trees down, consider what pruning can do for you. We are an affordable tree service option compared to the other option. Which include potential property damage, entire tree removal, or cutting down the tree. Whether it’s a baby tree or an older tree, we can help. Call us today to schedule a consultation and we can help you decide what is best for your tree.